Catriona has been involved in the digital world since the mid 1990’s as a student she worked in Ireland’s first Internet café bar in Temple Bar in Dublin. Catriona started her career in recreation and leisure management and after working several years in the industry decided to change direction and pursue another passion the Internet. She set up her own business, OSD Digital Agency (OmniScience Design Ltd.) in 2000 after spending a number of years as Business development Manager with Irish Internet Ltd. Catriona has lectured part time in Sligo IT and Dublin Business School as well as providing her own training on behalf of OSD to Fáilte Ireland, VEC’s nationwide, FAS, Coillte, Local Enterprise Boards (County Enterprise Boards), LEADER, AA Ireland, Courts.ie to name a few. She has written several published articles locally for the Sligo Weekender, Sligo Business Magazine and nationally for Fáilte Ireland, Young entrepreneurs Livewire magazine, Sunday Business Post, Irish Independent, Sunday Independent and the Irish Times IT supplement. Catriona’s entrepreneurial side is born out of a family business background in tourism industry; she is still actively involved in marketing and developing the business. Determined and with a vision of providing our clients with the information to succeed online. 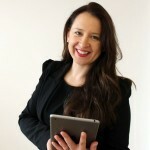 Catriona’s background is in marketing, eMarketing, business planning & development and sales. She has acquired significant experience in business management, market research, market planning, design development, business & project planning and web design & development.